(leading to ExpertRating Administrative Assistant Fundamentals Skills Certification). This course and its followup (Administrative Assistant Applications may help you prepare for the internationally-recognized Certified Professional Secretary® (CPS®) and the Certified Administrative Professional® (CAP®) exam offered by the International Association of Administrative Professionals® (IAAP®). This course includes knowledgeable and caring instructors who will guide you through your lessons, facilitate discussions, and answer your questions. The instructor for this course will be Becky and Tony Swaim. About the ExpertRating Online ExpertRating Online Administrative Assistant Course instructors : Becky and Tony Swaim have helped thousands of clients, colleagues, and students reach organizational and personal goals. Working in the medical, manufacturing and education fields, the Swaims manage a successful consulting firm in southern California. Starting her career as a medical administrative assistant, Becky provides assistance as a program manager to various medical practices and has managed a large staff in the medical reimbursement field. Becky earned a Bachelor's of Arts degree in Speech Communication from California State University, Long Beach. Tony Swaim has been an accomplished online instructor since 1998. His industry experience includes twenty years of medical device manufacturing management. Tony's consulting areas are project management, customer service, total quality and supply chain management. He earned an MBA from California State University, Long Beach and holds professional certifications in five disciplines. Administrative Assistant Fundamentals Course requirements: For taking this instructor led Online ExpertRating Online Administrative Assistant Course you need Internet access, e-mail, and and the Microsoft Internet Explorer or Mozilla Firefox Web browser. "I really liked this class and learned a lot. I would recommend this class to anyone that wants to learn more about what it takes to be an Administrative Assistant." "Class was very interesting. Would recommend to others." "I had a great time in the class. I will tell my friends who were thinking about taking this class, It was a very nice class. It was fun." Overall, a very enjoyable and valuable course." "Excellent use of my time. Thanks." "I am so happy with the extremely high quality of these lessons from the Swaims. Lesson seven has been extraordinarily interesting and informative. This course is a wonderful gift, and I am so glad that there are two people out there who have taken the time and care to prepare it all for us in an accessible manner." "Thank you again to the Swaims for having provided such a well-researched and organized course, which was also student-friendly, in that the illustrations were in color and the overall tone of the course was positive and encouraging. Thank you for being such dedicated educators, and I hope that the future holds happiness and joy for the both of you." "Dear Tony & Becky, I wanted to let you know how positively your course has impacted my job/thinking performance. I have noticed and am excited to be experiencing a higher level of functioning, focus, and responsibility taken on the job since I began your course. Bless you for putting so much information into concrete, understandable terms to help us better ourselves!!" "have just passed the final exam with a score of 100%. Thank you very much for an informative and valuable class. I can highly recommend this course." "Although I've been an Adm Asst for over 5 years, this course was very stimulating for me. I learned so much; I like the detailed information. I feel very good about taking this course." "I feel taking this course was time well spent. The instructors were great and the course content was perfect for this type of course. If you are planning to use this course to enter the field of Administrative Assisting, you will need to take software courses and typing in addition to this course for a well rounded education. I would also recommend this course (and the Administrative Assistant Applications course) for preparation for the Certified Professional Secretary Exam. I feel that I am much better prepared for this exam after taking this course. Thank you Becky and Tony!" "I really enjoyed the course. It was mostly a refresher course for me, but I also learned some new things as well. I have a few things which I learned that I want to implement in my position as Administrative Assistant Fundamentals Assistant. Thank you!" "This was my first online course and I must say that I enjoyed it. After completing this course, I am defiinitely going to enroll in another online class. Thank you to the instructors. The material was easy to understand." ExpertRating is one of the world's only ISO 9001:2015 Certified companies (from TUV America) offering an Online Administrative Assistant Course (leading to ExpertRating Administrative Assistant Skills Certification). When you choose the ExpertRating Online Administrative Assistant Course you can be sure that you are buying a premium International certification that is recognized by hundreds of employers and Government bodies in the US and other countries. With ExpertRating you get certified quickly online and you are equipped with a store house of information through the in-depth ExpertRating Online Administrative Assistant Courseware which has been developed by experienced Business Managers. The ExpertRating Administrative Assistant Fundamentals Skills Certification is by far the best value for money instructor led Administrative Assistant Program at $129.99. How much does the Administrative Assistant Fundamentals Certification cost and what does it include? You can buy this ExpertRating Online Administrative Assistant Course leading to Administrative Assistant Fundamentals Skills certification at a special offer price of only $129.99 which includes the in-depth ExpertRating Online Administrative Assistant Courseware and exam fee. This is the best value for money Administrative Assistant Fundamentals Program available till date. You get the following services within the USD $129.99 fee. In-depth ExpertRating Online Administrative Assistant Courseware including scenarios and case studies. Knowledgeable instructors to guide you through the course and to whom you can direct your questions. World wide airmail delivery of the hard copy Administrative Assistant Fundamentals Certificate. The Administrative Assistant Fundamentals certificate can be used to prove your certified status and does not mention the words "online". The process of getting yourself certified is very simple. 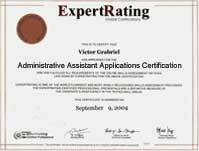 All you have to do is buy the ExpertRating ExpertRating Online Administrative Assistant Course for $129.99. Log in to the instructor led course using your password. Go through the ExpertRating Online Administrative Assistant Courseware (which would take you 6 weeks) and complete the final Administrative Assistant Fundamentals certification exam at your convenience. You can complete the exam within 2 months of buying the Administrative Assistant Fundamentals certification. The result of the exam appears as soon as it is completed, and your Administrative Assistant Fundamentals certificate is mailed immediately. Chapter assignments to help you practically use the Administrative Assistant Fundamentals skills that you will learn during the Administrative Assistant Fundamentals Course. The final exam is fully based upon the ExpertRating Online Administrative Assistant Courseware that is provided along with the Administrative Assistant Fundamentals certification. If you have gone through the courseware properly you should not have a problem clearing the exam. The exam consists of multiple choice questions from all chapters of the ExpertRating Online Administrative Assistant Courseware. 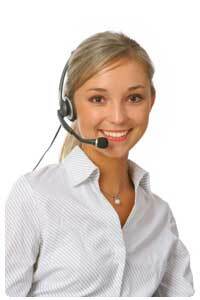 Administrative Assistants occupied more than 4.2 million job in the United States in the year 2006! Certifications in this field definitely guarantee higher salaries! In the contemporary times, an Administrative Assistant has more of a managerial role. He or she caters to staff as well as the clients by dispersing appropriate and right information to both. Earlier high school graduates were also offered the jobs of Administrative Assistants. But, now it is imperial to be trained in an Administrative Assistant vocational program. They should be well adept in office and computer skills. Administrative Assistants should be well adept in office and computer skills. They should be good orators because in a way, they are representatives of the company. Their grammar, diction, pronunciation, spelling and punctuation should be par excellence. It is also very important for them to have a flexible and learning attitude because there is a lot that they learn on the job. With good training and experience, Administrative Assistants can be designated prominent positions such as Certified Professional Secretary (CPS) and the Certified Administrative Professional. (CAP). There are many national agencies which certify Administrative Assistants such as International Association of Administrative Professionals; National Association of Legal Secretaries (NALS). This definitely enhances your resume. 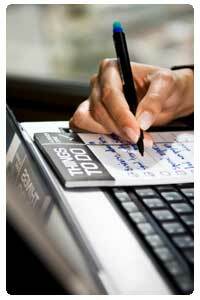 ExpertRating Online Administrative Assistant course would also give you an edge above the rest. Through this course you would gain the skills and knowledge that is required to be a certified administrative professional. Today, in our first lesson, you'll see why organizations need administrative assistants, and also explore the type of work that various administrative assistants perform. We'll talk about the different administrative specialties, and look at an overview of their varied duties and requirements. You'll learn about the International Association of Administrative Professionals (IAAP), and the professional certifications—Certified Administrative Professional (CAP) and Certified Professional Secretary (CPS)—that IAAP offers. 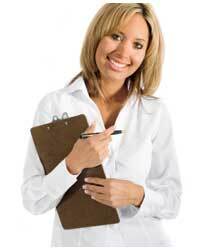 As an administrative assistant, you frequently participate in office planning. So today, we'll help you understand that an office is an interdependent system where everything works together. You'll see that creating an office environment requires bringing many components together, including office layout, workflow analysis, space planning, furniture and equipment selection, use of lighting, and physical document (file) storage. By the end, you'll be ready to play a vital role in office planning. In our fast paced world,organizations move very quickly and make split-second decisions that have far reaching implications. Administrative assistants play a pivotal position in supporting timely and accurate flow of information. In this lesson, you'll learn how to effectively use information management to create a successful office operation and help increase your value to your organization. The pieces of telecommunications, communications, and technology, fit together like a hand in a glove. To be successful as an administrative assistant, you need a command of telecommunications. So, today, we'll share how telecommunications technology enables you to access information, share knowledge, and communicate without boundaries. When you finish this lesson, you'll better understand how to use multi-tasking and communicate using e-mail, fax, and telephone. In today's lesson, you'll learn how to productively use reprographics and manage records. Many organizations rely on administrative assistants to coordinate activities in these two areas. You'll learn that reprographics is the process that creates, develops, produces, and distributes printed material that conveys information and ideas. You'll also discover that records management is the management of paper documents, micromedia, and documents that are electronically and magnetically stored. As an administrative assistant, you spend a lot of your day inputting and storing data, retrieving and analyzing information, and producing presentations, newsletters, numerical reports, graphs, and charts. Powerful, user-friendly computer hardware and software can help you greatly with these tasks. So we'll focus on computer hardware and software in this lesson to help you better understand the properties of your office computer system. As an administrative assistant, you play an important role in helping co-workers arrive at the right place at the right time. You also provide them with information and materials that enhance their effectiveness while they travel and participate in meetings. So today, we'll talk about scheduling and coordinating meetings, conferences, and business travel. We'll share a case study to illustrate your role in supporting these activities. A critical responsibility of administrative assistants is coordinating a wide variety of office activities. To help you meet this challenge, today we'll examine how to create practical policies and procedures, and design and manage useful forms. We'll focus on the use of policies, procedures, and forms that meet organizational objectives and create harmony and order in your day-to-day activities. As an administrative assistant, you spend much of your time reading and composing business documents (reports, letters, memoranda, and press releases). Your efficiency and effectiveness is dependent upon your ability to write purposefully and clearly. So our objective today is to enhance your business writing skills. After you finish this lesson, you'll wow your boss and co-workers with your increased ability to write high-quality business documents. As an administrative assistant, you practice interpersonal communication in a variety of ways, ranging from one-on-one to communicating in a group. The basic purpose of interpersonal communication is to transfer understandable information back and forth. In today's lesson, we'll discuss how your desire to share thoughts and ideas create the first part of communication and how you create the second part when you listen, interpret, and react to feedback. Today, we'll show you how to perform basic research—something administrative assistants are often asked to do. We'll also discuss how important it is to frequently review your job duties so you can enhance your duties and increase the satisfaction levels of the people you work with.